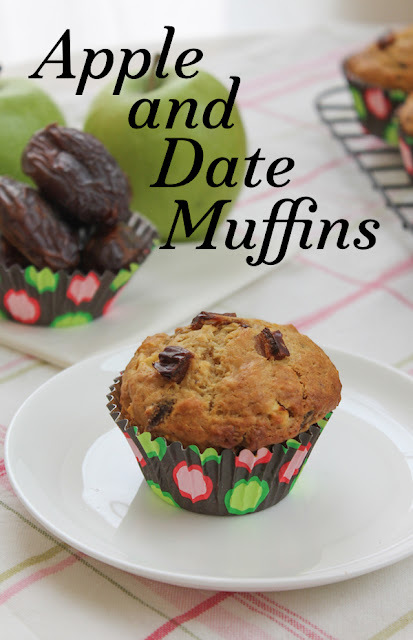 Sweet ripe Medjool dates and tart green apple combine in these apple and date muffins to make a deliciously nutritious breakfast or snack. It’s date season in the UAE so palm trees hang heavy with promise everywhere, even in my backyard. I have no idea if mine are any good to eat though, because we neglected the usual practice of bagging the dates with green mesh. The birds always get to them first. And I don’t begrudge them the treat. Summer time in the UAE is hotter than the hinges of the gates of hell, dry and dusty to boot so I can’t imagine the birds have an easy time getting either water to drink or food to eat. With an irrigation that goes on three times a day and all the dates they could hope to eat, my backyard is pretty popular. It sounds like I am more generous than I really am. If I’m honest, dates aren’t my favorite fruit to eat - they are sooooo sweet, too sweet for me mostly – but they are lovely to bake with. On those occasions, I leave the birds to their feast and buy a few Medjool dates. 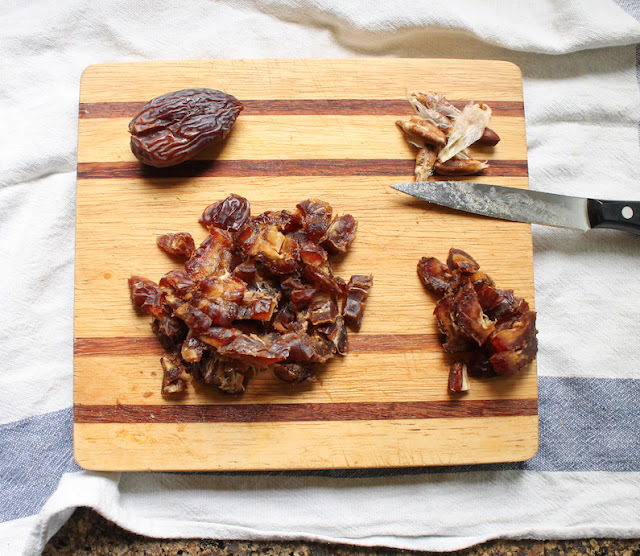 I recommend the fully ripened Medjool dates for this recipe as they are the sweetest dates I’ve ever tasted (although my neighbor Sandra’s dates come close!) and they are super sticky with goodness. Perfect for baking. Put the rest in a heatproof bowl. Add in the half teaspoon of baking soda. Scald the milk and pour it over the chopped dates. 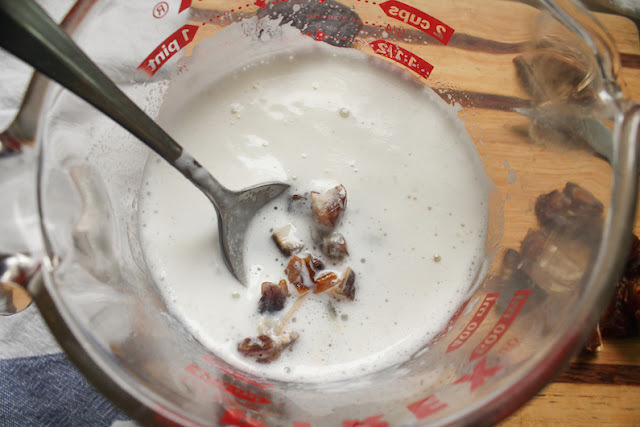 Stir to help separate the bits of sticky date and set aside till cool. It will cool faster if you stir it occasionally. 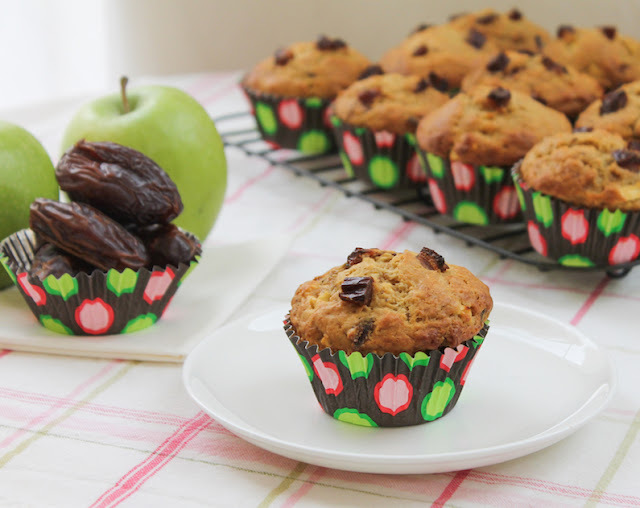 Make ahead tip: If you want to bake your muffins first thing in the morning, do the scalded milk step the day before and pop the milk in the refrigerator once it has cooled. 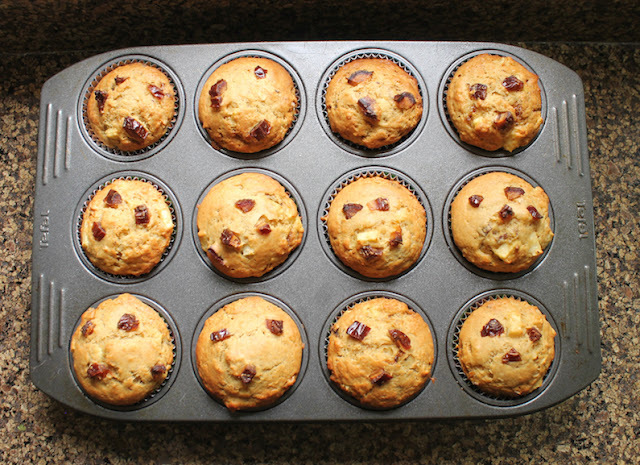 Preheat your oven to 350°F or 180°C and prepare your 12-cup muffin pan by greasing it with non-stick spray or lining it with muffin paper cups. 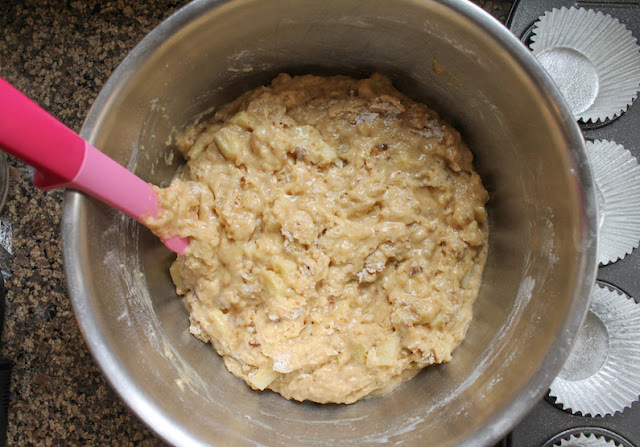 In a large bowl, whisk your flour and sugar with the baking powder and salt. In another bowl, add the eggs to the cooled date mixture. 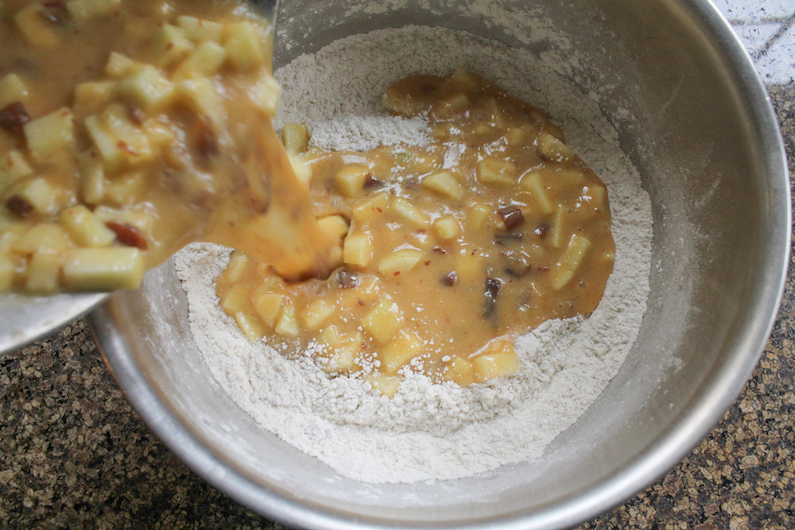 Peel, core and finely chop the green apple, adding the bits to the liquid bowl immediately so they don’t turn brown. 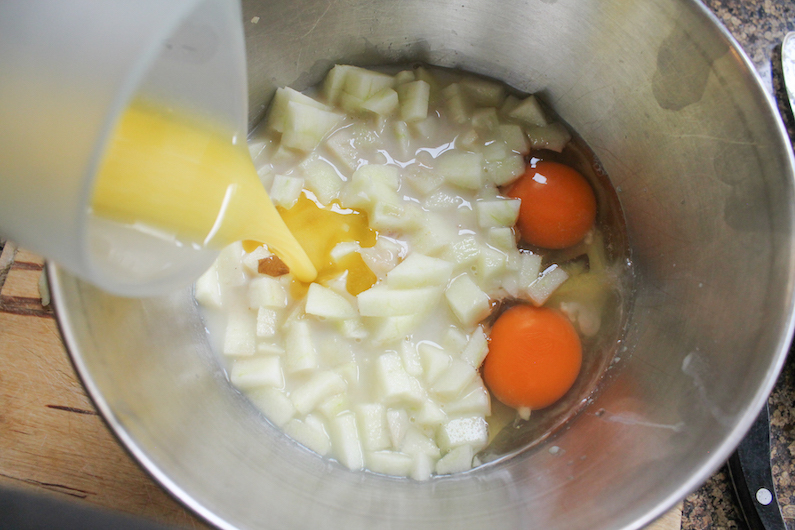 Pour in the butter and whisk it all together. Pour your wet ingredients into the dry ingredients and fold until just combined. A little flour might still show. 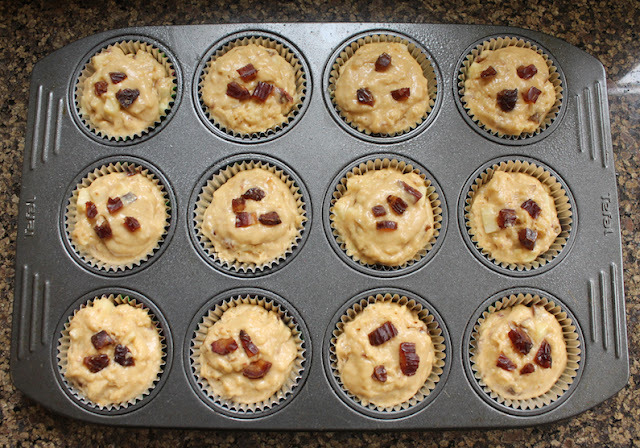 Divide the batter evenly between the 12 cups of your prepared muffin pan and then top each with some of the extra chopped date, if desired. Bake for 20 - 25 minutes in your preheated over or until golden brown. Check out all the lovely muffins we have for you this month. 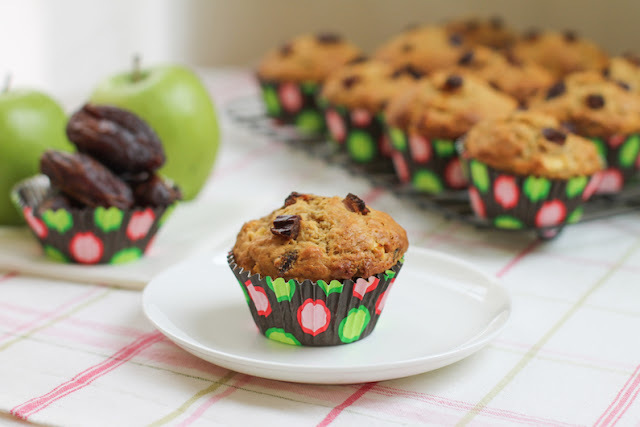 July is a good month for muffins!